The Premier League is six games old and is starting to take shape. Liverpool boast the only 100 per cent record in the division, but Manchester City and Chelsea are hovering ominously with their unbeaten starts to the season. Fellow ‘top six’ sides Tottenham , Arsenal and Manchester United have had blips in their opening fixtures but are fifth, sixth and seventh and ready to pounce on the pace setters. All in all it is all set up for an exciting season, with the battle for the Champions League places hotting up already. But Reds legend, and Sky Sports pundit, Jamie Carragher already reckons the Gunners and Jose Mourinho’s United are the two giant clubs set to miss out on the top four this campaign. When asked who he thought would miss out, the former defender said: “On the evidence of what we’ve seen I’d say Arsenal or Manchester United from what we’ve seen in these opening six games. “The others look a little bit further up. United and Chelsea both dropped points this weekend, with the Red Devils held by Wolves and the Blues drawing 0-0 with West Ham . And Carragher reckons any points squandered could really cost the top outfits this year. 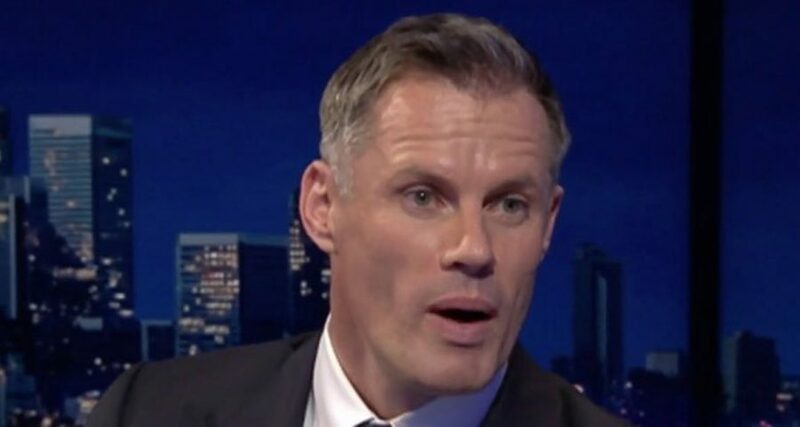 “I think the top six are so far ahead now that if just one or two of them teams on any given weekend drop points it feels like a really big thing for the rest of the other teams because a lot of the other dropped points come from each other,” Carragher continued. "I think the top six are so far ahead now that if just one or two of them teams on any given weekend drop points it feels like a really big thing for the rest of the other teams because a lot of the other dropped points come from each other. "So far Liverpool winning, City winning, for Tottenham and Arsenal, for Chelsea and United to drop points against two of the lesser sides it’s a really big thing. "City showed last year – and whoever is going to win the title this year – that the points total now to win the title – it was 80 or so when I was playing – but it’s 90 plus now."